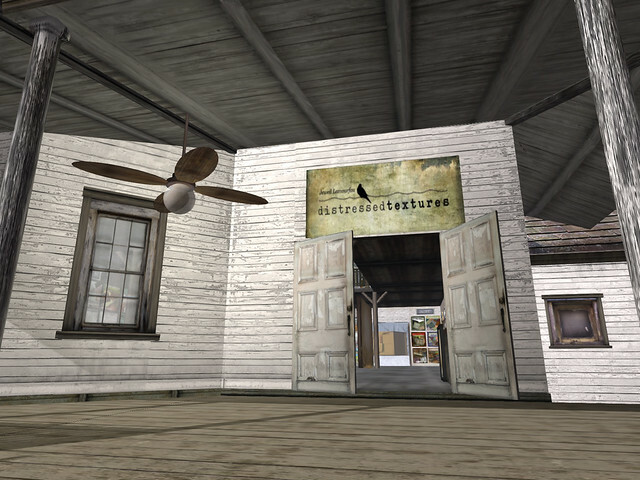 As the first My favourite Second Life store I present you Distressed Textures. The reason why I chose this shop to be the first one is it's one of first shops I visited after rezzing for the first time. Distressed Textures is also my go-to shop for textures for building. Distressed Textures is owned by Jewell Lamourfou. Jewell is a talented artist and it shows in her textures too. 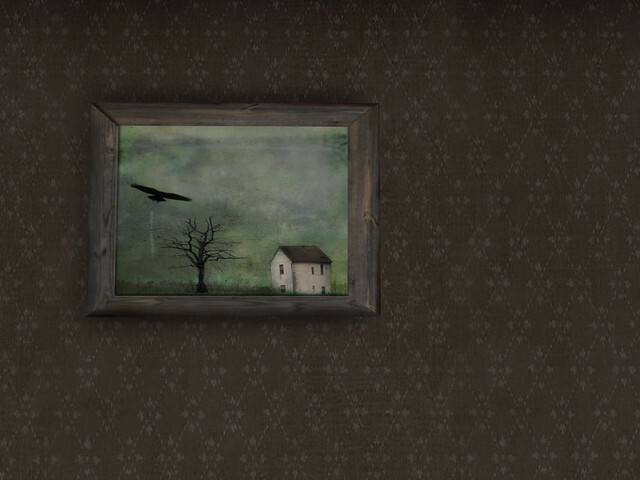 Her textures are very realistic, often created from her photography. I think her wooden textures are amongst the best I've seen in SL. In Distressed Textures you can find lots of different sort of textures. They include for instance lovely weathered building textures, from the previously mentioned wood to windows and bricks of all sorts. You can also find bundles of a whole package for building a pretty cottage. Additionally there are lots of different sorts of fabrics, papers, colourful packs of different sorts of surfaces and also some floral textures for creating plants. I have had a luck to communicate with Jewell a couple of times and she has been really nice. Oh and there's this "hidden" room in the store. More reasons to love Distressed, don't you think?